The Tata Code of Conduct – This & That.. I had all respect for the Tatas till a few days back. I had the feeling that they follow a code of Business Conduct.The Tatas do make a serious effort to run clean businesses. This is precisely the reason why the Radia tapes have dealt a big blow to the Tatas’ reputation . When you have a Code of Conduct, you are expected to follow it by the line. In March 2006 I had gone to meet Budhadeb Bhattacharyya , the Chief Minister of West Bengal to update him on the reopening of Dunlop . I was waiting outside his chamber when his Personal Secretary Sailesh Mukhopadhatya narrated a small incident which happened recently related to Tatas. The Tata Group had planned the foundation stone laying ceremony in Rajarhat Kolkata for the Tata Medical Centre (TMC) to be commissioned in December 2007 which will have 150 beds as well as an outpatient and ambulatory care facility for patients suffering from cancer. The outpatient block to be completed in two phases will cover a total area of 42,872 sq. ft. The TMC will be set up along the lines of the 65-year old Tata Memorial Centre in Mumbai and will be supported by the Tata Medial Centre Trust . The function was planned in Rajarhat in the middle of a construction site in an upcoming city with no infrastructure facility. The onus of creating a facility befitting such a function to be attended by the Chief Minister and the Chairman of the Tata Group was resourced to a well-known contractor and as the materials were being ferried in it was held up in Bihar border for lack of proper papers. The person coordinating the event from Tatas ran to the CM’s Secretariat for help and an Urgent message was send to the Chief Secretary of Bihar. The Personal Secretary underlined that had it been any other company they would have greased the palms of the officials to get the material through. The gentleman from Tatas had gone out of his way to underline that as per their Code of Conduct they are prohibited to do anything illegal which could even cost him his job. Such was the reputation of the house of Tatas. “Corruption is not only about personally accepting and stashing monetary bribes, it can come in insidious avatars, such as knowingly turning a blind eye to misuse the entire machinery of governance…” writes my old colleague Sucheta Dalal in her online , while questioning why everybody feels compelled to pay ‘ritual obeisance’ to the ‘personal honesty and integrity’ of Dr Manmohan Singh while commenting on scandals emanating from his Cabinet colleagues. The same is true of the Tata group. Inspite of the past history that the Tatas started with opium trade , trading opium with China. However opium trade during the British rule was legal. 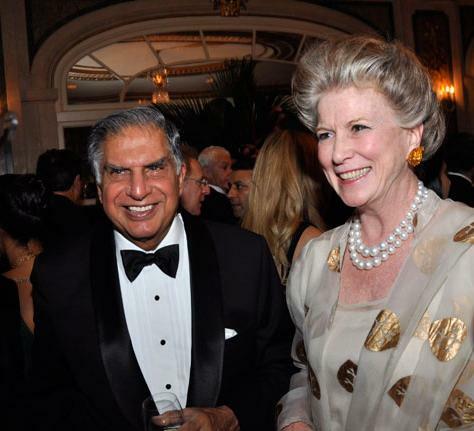 One cannot write about Indian business without the mandatory obeisance to the Tatas for being India’s most virtuous business group, despite a string of occasions Indian Hotels, Tata Finance, Singur land and Tata Tea, among others, when the group had clearly crossed the ethical line. Frankly, it is only the enormous bank of goodwill earned from the days of Jamsetji Tata that gave the group a legion of admirers and allowed its reputation to remain unscathed, until now. Indeed, the Tatas do make a serious effort to run clean businesses. They employ top professionals, make political donations by cheque and have a written code of conduct. Funnily, this is precisely the reason why the Niira Radia tapes have dealt a big blow to the Tatas’ reputation but not Reliance’s. When you have a code of conduct, you are expected to follow it. If you are intolerant of criticism (Ms Radia talks about how she has “dealt with an over-sensitive Ratan Tata who would get upset at every negative word in an article even though he had given the quote himself”), you must avoid actions that attract it. But when the Tatas hired Niira Radia, the code went out of the window. The group learnt from her how to leverage their Rs800 crore advertising budget to block media criticism. The Tatas picked their first fight with India’s richest media group, Bennett Coleman (on which little is known publicly), with good results. Let’s look at how the Tata code of conduct was violated. Clause 7 of the code, which deals with ‘political non-alignment’ says, “A Tata company shall not support any specific political party or candidate for political office. The company’s conduct shall preclude any activity that could be interpreted as mutual dependence/favour with any political body or person…” The first tranche of tapes is about how comprehensively this clause was violated by Ms Radia’s hectic lobbying to keep Dayanidhi Maran out of the telecom ministry and secure it for the allegedly corrupt A Raja. 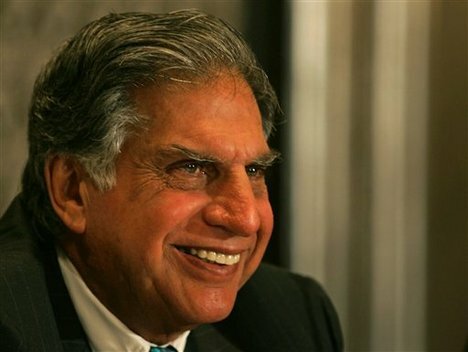 Ratan Tata’s conversations with Ms Radia and his December 2007 letter to M Karunanidhi describing A Raja as ‘rational, fair and action-oriented’, indicates that violation of the code started at the top. A Rs1,600-crore loan in 2007 from the Tatas to the Unitech (another client of Ms Radia) group raises suspicions about political payoffs. In another conversation Ms Radia talks about how she persuaded the governor of Jharkhand to extend mining leases for the Tatas (when the disgraced former chief minister Madhu Koda had demanded Rs180 crore. Rajeev Chandrasekhar (former telecom player and now Rajya Sabha MP) had openly charged that the Tatas were a big beneficiary of dubious telecom policies. Although Ratan Tata has retaliated with counter-charges, it is, indeed, a fact that former telecom regulator Pradip Baijal, who favoured the Tatas, quickly became a consultant with Ms Radia’s firm for a fat fee and was recently raided and questioned by the CBI. This clearly went out of the window in all of Ms Radia’s dealings. In one conversation with RK Chandolia, personal secretary to A Raja, Ms Radia assures him that she had spoken to Krishna Kumar, a Tata director, about a hospital to be built in the minister’s constituency, Perambalur, at a cost of Rs9 crore. In another chat, she is heard assuring M Karunanidhi’s second wife about a property where Voltas has its offices. This property saw strange changes in ownership and plans to construct a building on land controlled by Tata Realty as part of a quid pro quo for favours rendered. Apart from these major violations, there are a few transgressions and grey areas. For instance, Clause 12 says, “A Tata company or the Tata Group shall be represented only by specifically employed directors and employees” in all its dealings and public appearances. This was conveniently dumped when Niira Radia’s company was given full control over all interactions with government, media and bureaucracy. Clause 13 of the code says that anyone whose “business conduct and ethics are known to be inconsistent with the Code,” cannot represent the Tatas as a distributor, consultant or agent. Was this violated? Well, Ratan Tata clearly believed that all of Niira Radia’s actions helped the group. He even issued a statement about the Tatas ‘long and fruitful’ association with her. So let’s leave this issue to each reader’s interpretation. Clause 14 of the code says, “No third party or joint venture shall use the Tata brand to further its interests without specific authorization.” As anyone in media and communications will tell you, Ms Radia’s power and influence in Delhi was derived from the deep pockets and brand name of her two big clients—Tata group and Reliance Industries. And she was indeed ‘authorized’ to further the interests of the Tata group; but her way of doing it surely wasn’t envisaged by those who wrote its code of conduct. Funnily, for all of Ms Radia’s PR expertise, Ratan Tata’s association with her has led to a series of PR blunders caused by extreme arrogance. These include the unsympathetic handling of the Singur farmers forcing the Tatas to pull out the Nano project; a post-Singur advertisement blaming Mamata Banerjee for destroying the potential of West Bengal and endorsing the Left Front government. The ad had the right-thinking Bengalis gagging with disbelief. 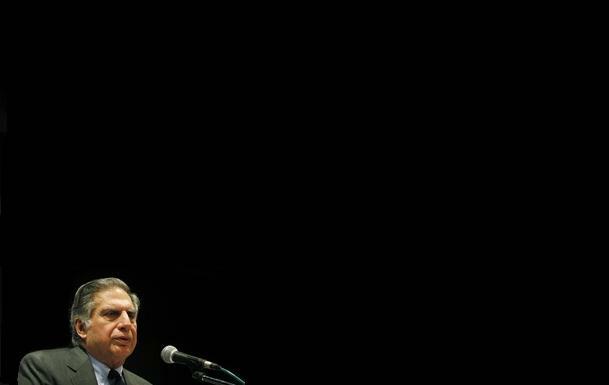 The Left parties cringed with embarrassment and asked Mr Tata to stay out of politics. Then there was a Tata letter proclaiming that the group had benefited from its ‘long and fruitful’ association with Ms Radia and, finally, Ratan Tata’s most misguided decision to approach the Supreme Court to try and gag the press and stop the publication of the Radia tapes. Alokeda: How can one access the entire code of conduct document? Subir … I will arrange to forward to you …..
Whatever you say, the Truth will be truth. There are many companies that have came and gone into history, but Tatas’ are unique. There are several other business groups in India that have no ethics at all and are run on greed. Tatas’ have Code of Conduct and they follow it, but there might be times when they have made some mistakes unintentionally. You don’t have to worry about Tatas’ ethics. You worry about other corrupt business leaders and politicians. Indian government also have certain rules, regulations and codes, please see that every political leader follows it and report it to the Supreme court if they don’t. If you do that you will be the greatest person in India, and all Indians will be proud of you and Salute you.